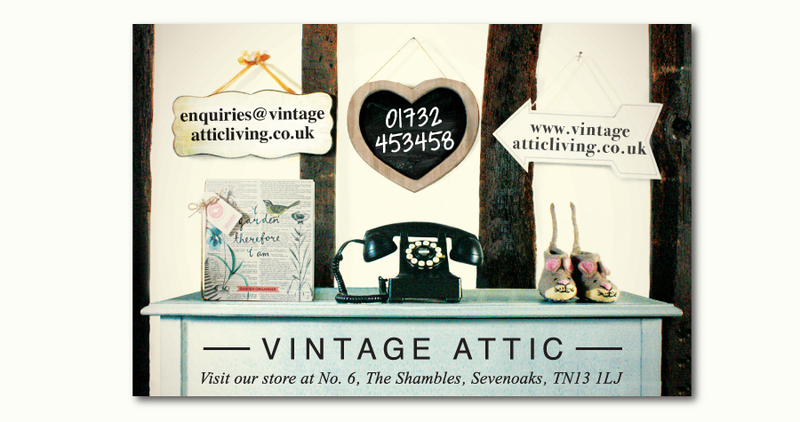 Elaine owns a quirky little tudor shop in Sevenoaks, Kent selling creative gifts, and trinkets. 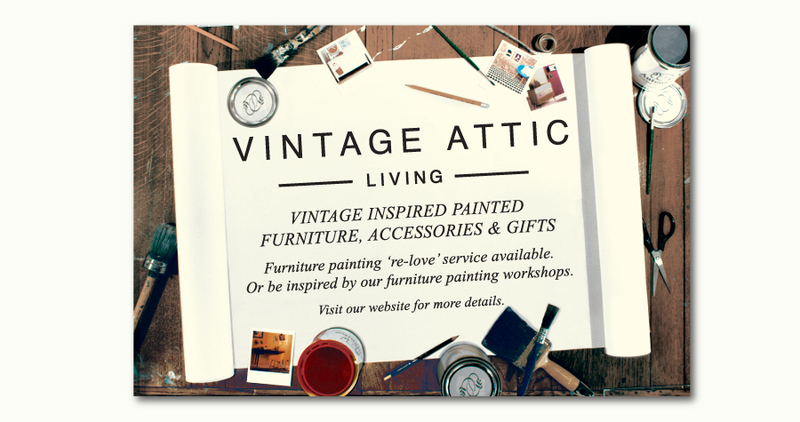 Alongside this Elaine also hosts popular furniture refurbishing workshops. 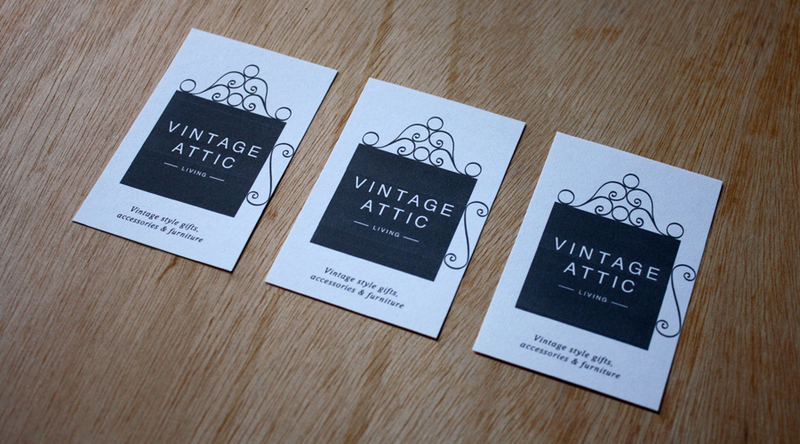 Elaine needed a logo, promotional material and carrier bags to promote her new store. We visited her higgledy-piggledy store and decided it would be the perfect place for a photo shoot. 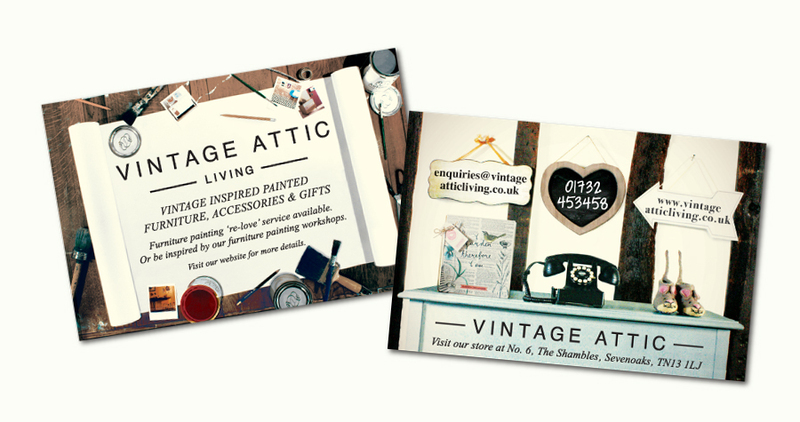 We designed these postcards, and then photographed them in the Vintage Attic Living store using Elaine’s products. We think they turned out really rather well!